Here's an update about Kamal Haasan officially entering politics on his birthday. 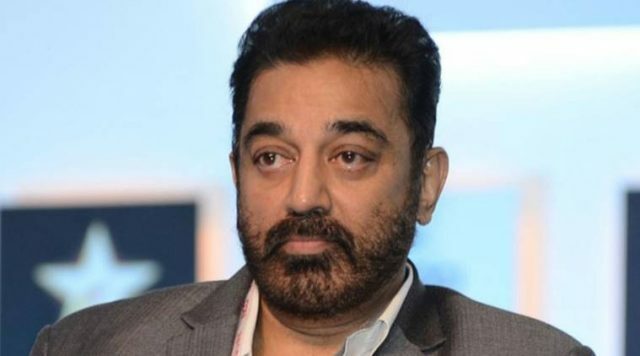 Tamil superstar Kamal Haasan has been in the limelight these days because of his severe criticism of the ruling Tamil Nadu government as well as his impending entry into the world of politics. In fact, sometime ago he had announced that he would soon be launching his own party and getting his political career underway. Now, the actor-filmmaker is in the limelight once again. As it so happens, yesterday, he met some supporters and asked them to focus on the development of medical facilities in the state. As expected, this led to speculation of him launching his party on his birthday. However, it seems that nothing is set in stone yet. Addressing these rumours, a source said that one must not entertain any rumours as Haasan will himself let fans know when he plans to enter politics. “If Kamal Haasan plans to enter politics on his birthday, he would make an official statement by himself and not let someone else talk for him,” added the source. Well, this is pretty much a wait and watch situation. It will be interesting to see what happens next. On a related note, Haasan recently confirmed that he will soon be joining hands with director S Shankar for ‘Indian 2’ which is a sequel to ‘Indian’. The 62-year-old will, however, be completing ‘Vishwaroopam 2’ and the delayed ‘Sabash Naidu’ before moving on to the ‘Indian’ sequel. All in all, Kamal Haasan fans have plenty to look forward to in the days to come.